Barring thoor dal, urad dal and gram dal, all other commodities ruled steady in the wholesale foodgrain market in Chennai during the week, in March, 2017, under review. Urad dal and gram dal, rose by Rs.1000, Rs.300 per quintal to close the week at Rs.9,200 and Rs.6,800 respectively compared to the previos week's rate on 18 March, 2017..
Thoor dal was up by Rs.200 from Rs.7,200 to close at Rs.7,400. 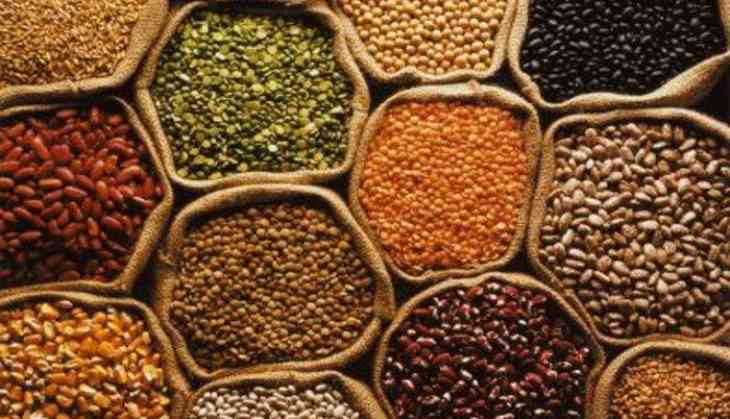 In contrast, Moong dal remained unchanged throughout the week at Rs.6,500, its previous week closing rate. Moong dal (Rs 6,500), Sugar (Rs 4,250), wheat (Rs 2,700), Maida (90 kg) (Rs 2,600) and Sooji (90 kg) (Rs 3,200) traded the same rate since Saturday last week and maintained the same trend till 18 March, 2017.